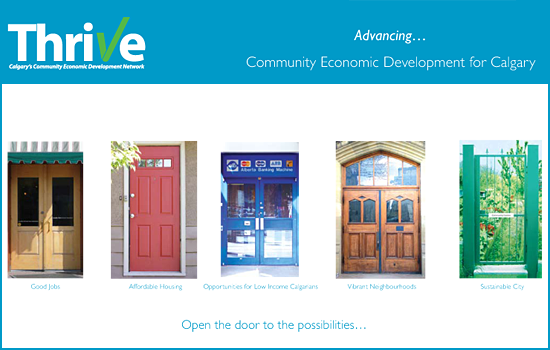 Calgary's Community Economic Development network was formed to bring together people and organizations to advance Community Economic Development (CED) in Calgary. A promotional piece was required prior to creating a brand, so desnoyers-schuler was challenged to edit stories, profiles, definitions and design a booklet that could enlighten as to what CED is, and how it is beneficial to all. And, it needed to be designed in a fashion that would allow a brand to be developed and applied after the first publishing round.